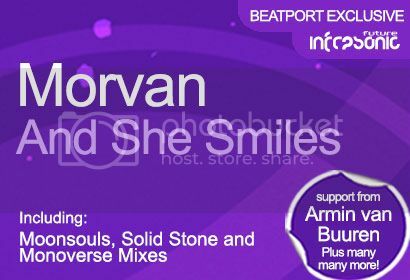 Morvan - And She Smiles [Infrasonic Future] | OUT NOW! 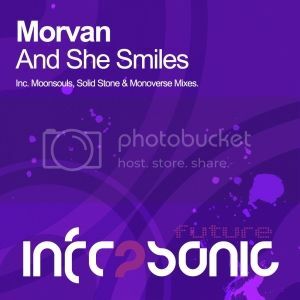 Thread: Morvan - And She Smiles [Infrasonic Future] | OUT NOW! One of Infrasonic Future’s brightest sparks returns to the label with another show stopping trancer. Rising star Morvan steps up to the plate once more with the sublime ‘And She Smiles’. Delivering a pure ecstasy filled trance journey, Morvan executes another fine example of euphoric trance and churns out another masterpiece for the global trance family. Bringing up the rear, there are three equally tasty remixes. First up, a full on energetic reworking from label favourite Moonsouls, followed by a slightly chunkier alternative from Solid Stone who crafts and delivers a unique stance on the original. And finally, wrapping things up, there’s a silky, yet emotive remix from Monoverse.